The Pali Village Café is probably the closest to a real local Indian food experience I’ve had as I just didn’t dare to try the actual streetfood in the 40 hours I spent in Mumbai. 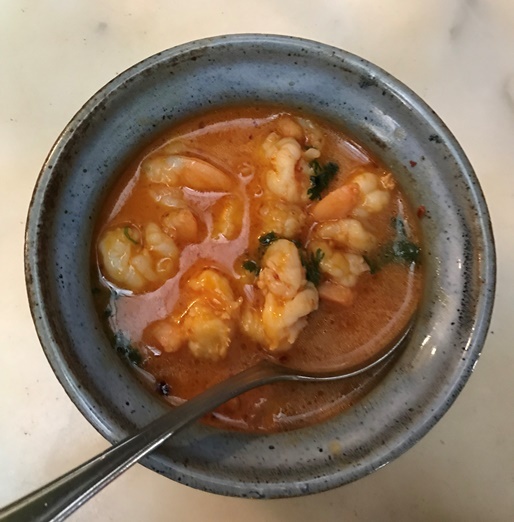 I went for the “prawns in lemon coriander broth, chilly flakes” (445 INR) as a starter which were way better than expected as they had a nice and tasty consistency. 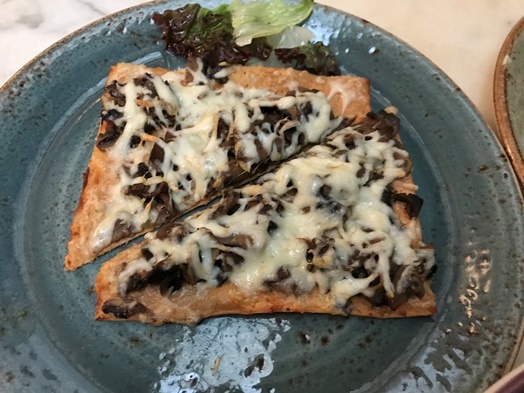 … and surprisingly to me, the “crispy flat bread – garlic, mushrooms and smoked scamorza” (170 INR) was even tastier. Something I wouldn’t have expected to be honest. 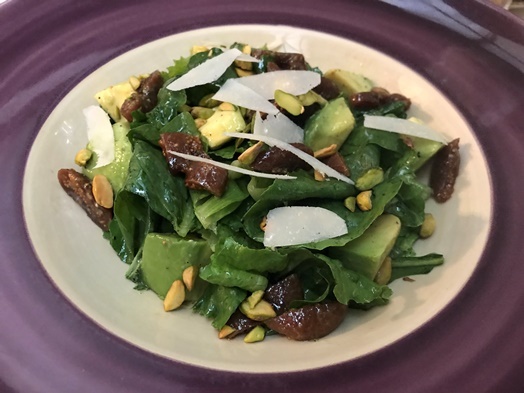 In order to enjoy something healthy, I went for the “avocado, dried figs, pistachios, romaine, arugula salad with horseradish dressing” (430 INR). And frankly, it was great in terms of taste, refreshing and yet interesting with the sweetness of the dried figs. 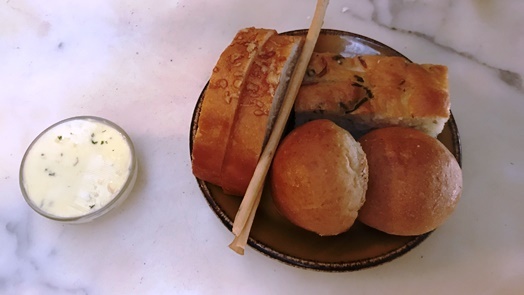 The “bread & spread” on the other hand was rather standard but still fine overall. What I liked about the place was the fact that they have a little terrace inside and if you manage to capture a table there, you have a lovely view on everybody entering and exiting the place. 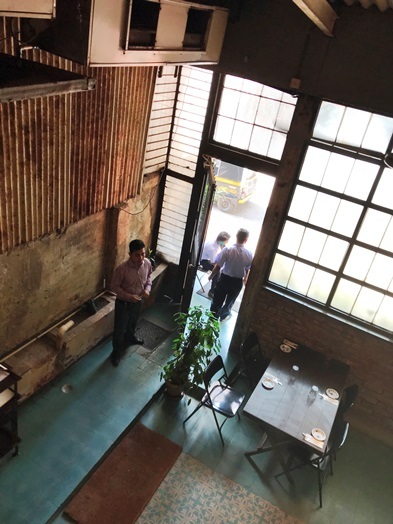 The service is rather friendly and overall attentive – only when I ordered the fourth “Perrier Sparkling water” (185 INR) as they only had small bottles, it took them quite a while until they finally served the additional water. I guess it is not so common that someone would drink almost one liter of water during a meal. 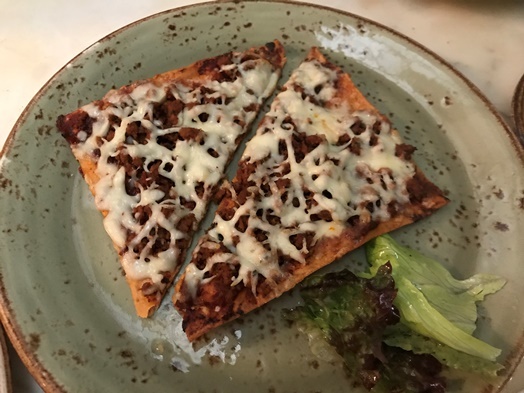 Overall, the Pali Village Café isa nice place to eat some healthy and tasty food for a decent price. 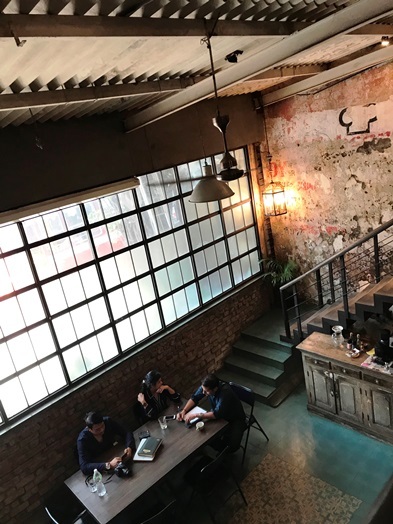 No booking necessary, however, the place seems to get quite crowded throughout the afternoon so it is recommendable to secure your space early.